A new report by Addison Group examines the scale and reach of FTSE100 corporate websites and the behaviour of their users. 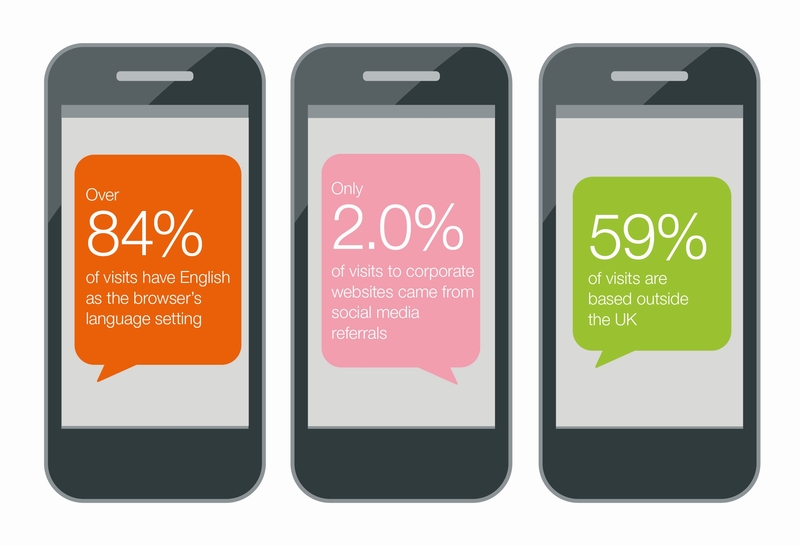 It draws on data from 29 FTSE100 corporate websites over the period 1 January to 31 December 2013. The number of companies participating in the study has grown to 29 from 21 and Addison Group anticipates that the data pool will grow in future iterations of the research as they are actively seeking participants. 2013 was not a growth year, but visits to FTSE100 websites have more than doubled since 2007. The FTSE100 Online Visits Index reached a new high in 2013 but later in the year fell, so overall, there was little change. The websites of smaller FTSE100 capitalisation stocks saw greater growth in usage compared to those of companies in the top half of the FTSE100, ending the dominance of the larger cap companies’ growth trend we saw in 2012 and 2011. Web analytics services are not optimised with over a third of FTSE100 websites unable to measure downloads. Over half of websites providing video content do not have the analytics coding to track its use. Please contact Georgina Herdman if you would like to request the full report. Georgina.Herdman@addison-group.net or +44 (0)20 7815 2035.